Eu Yan Sang Ocean Gem is made from fresh deep sea fish by using the latest technology. It contains abundant of natural protein, amino acids, taurine and minerals. Pleasant taste, easily digested and well accepted among children. Regular consumption can enhance vitality. 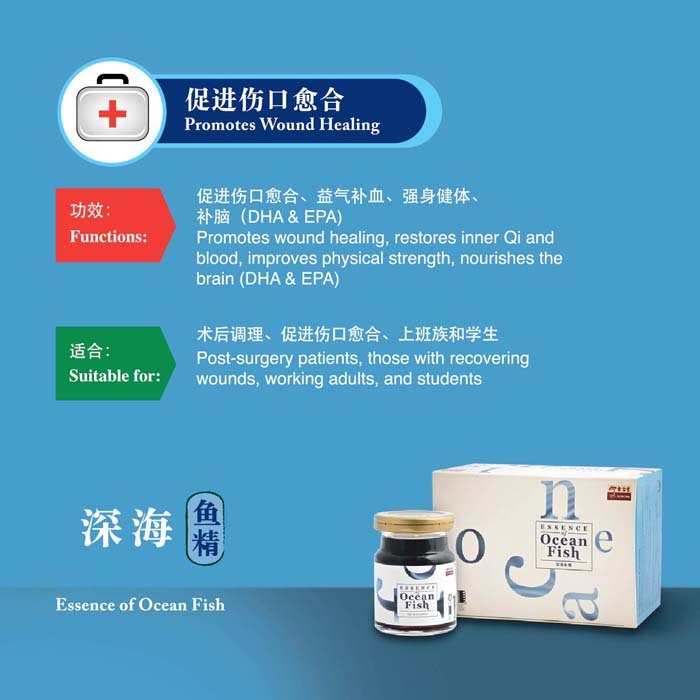 Essence of Fish has been a popular choice for post surgery recovery and wound healing. Fish essence, Astragali Radix, Rehmanniae Radix Praeparata.